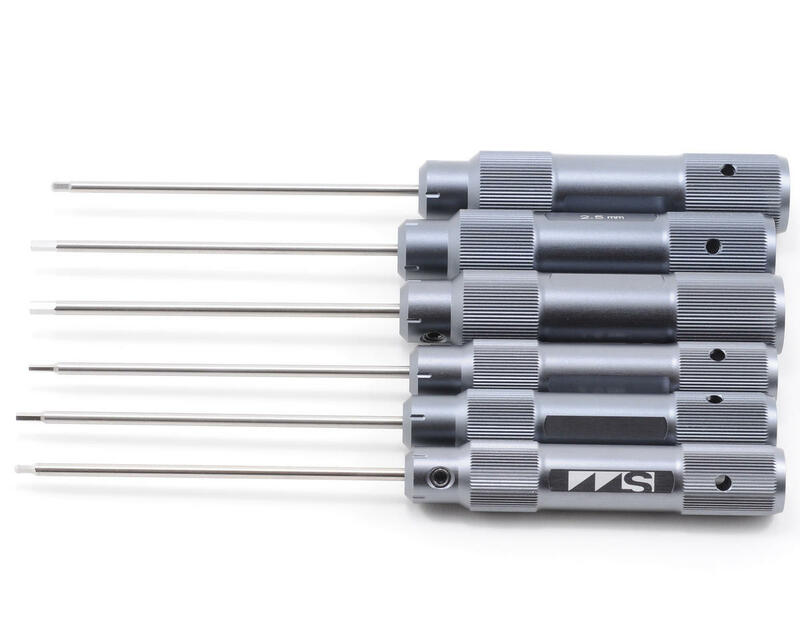 This is the Mugen ProSpec Allen Wrench Set. 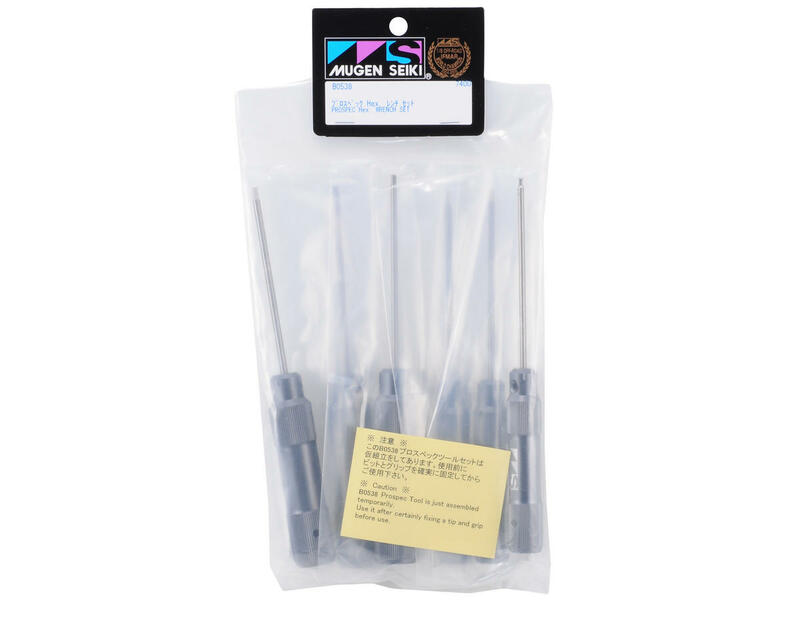 Featuring high quality CNC Machined, knurled handles and replaceable hardened steel tips. The handles on these tools are hollow to reduce weight and lessen fatigue, but also to allow the tips to be stored inside the handle to save space in your pit box.